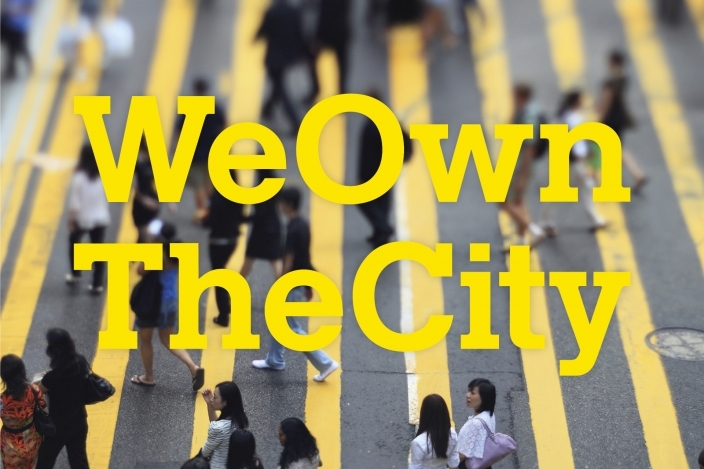 We Own The City has expanded into a global project working directly with diverse citizen initiatives in five major cities to collectively produce CITIES’ upcoming book: "We Own The City: Enabling Community Practices in Architecture and Planning"
Let us be honest. We do not own the city. And by we, we mean people who are pushing the boundaries of the urban development game by taking matters into their own collective hands – taking conceptual ownership. We are talking about people-driven urban initiatives. These approaches are increasingly permeating our cities; yet, many conventional actors, such as institutions, architects, government offices and developers find themselves out of touch and ill equipped to effectively and efficiently implement collaborative approaches that link the ‘bottom-up’ with the ‘top-down’ in mutually supportive development practices. We Own The City aims to bridge this divide. Within the pages you will discover the vitality of diverse and dynamic bottom-up initiatives, brought to life in five major cities of the global north: Amsterdam, Hong Kong, Moscow, New York City and Taipei. Digging into these case studies, the book shifts a trending discourse focused solely on bottom-up practices in order to spotlight the role of top-down actors and generate a depiction of the present to produce a path into innovative future practices. Through this process, We Own the City presents a collection of findings providing insight into how top-down players are rethinking implementation processes in order to enable greater involvement from local communities and civil society. Our recommendations for a people-driven practice target city governments, housing authorities, architects, town planners and real-estate developers in order to provide new foundations for legislation or policy, where inclusive urban development practices move beyond the experimental, temporal phase and begin to set new standard for the long-term. As this book examines actors both at the ‘bottom’ and the ‘top’, We Own the City is not only for professionals, practitioners and experts, but also for all people living in cities, students and anyone interested or involved in the act of progressive urban development. While the urban planning discourse faces a generational shift, We Own The City enables an era of urban conceptual ownership.